Plant up an Easter basket during a hands-on workshop April 13 at Lockwood’s Greenhouses. The plant selection may differ at the time of the workshop. Photo courtesy Lockwood’s Greenhouses. Presentations on gardening as well as hands-on floral workshops will be among this season’s classes to be offered at Lockwood’s Greenhouses, 4484 Clark St., Hamburg. Registration is necessary for all classes. You can register for most of the classes online now (some of the classes aren’t posted on the Lockwood’s site yet– check back soon), at the store or by calling 649-4684. Coming up first are two classes this Saturday, April 5, where you can learn how to integrate food production into an ecologically friendly yard. At 9:15 a.m. gardening expert Sally Cunningham will present “Growing Vegetables the Organic Way.” She will teach vegetable gardening basics, including a companion garden and organic garden layout and the needs of each vegetable family. At 10:45 a.m. Fred Safford, who is in charge of trees and shrubs at Lockwood’s, will present “Fruit Growing Basics and a Permaculture System.” He will provide materials on how to grow raspberries, goji berries, blueberries, fruit trees and more. In a recent article here, Safford gave us an introduction to edible landscapes. Guest speaker David Myers will pull it all together in “A Permaculture Plan for your Yard.” Myers is a landscape designer who focuses on sustainable, ecologically friendly landscapes and is introducing permaculture throughout Western New York. The cost is $10 per class or $15 for both classes. Registration is required. Lockwood’s is currently holding a spring tent sale from 10 a.m. to 5 p.m. daily through Monday, April 14. The tent is at the back of the store, 4484 Clark St., Hamburg. Any color dotted items in the tent are now 60% off regular price. Stop in for some real deals as they make room for new merchandise. Classes in growing easy-care and well-behaved perennials, annuals and container plants will be offered. Choosing and growing easy-care and well-behaved perennials with Sally Cunningham, gardening expert, will begin at 9:15 a.m.
Annuals and container plants with Marge Vogel of the Lockwood’s staff will start at 10:30 a.m. Classes can be taken separately for $10 each, or sign up for both classes for $15. 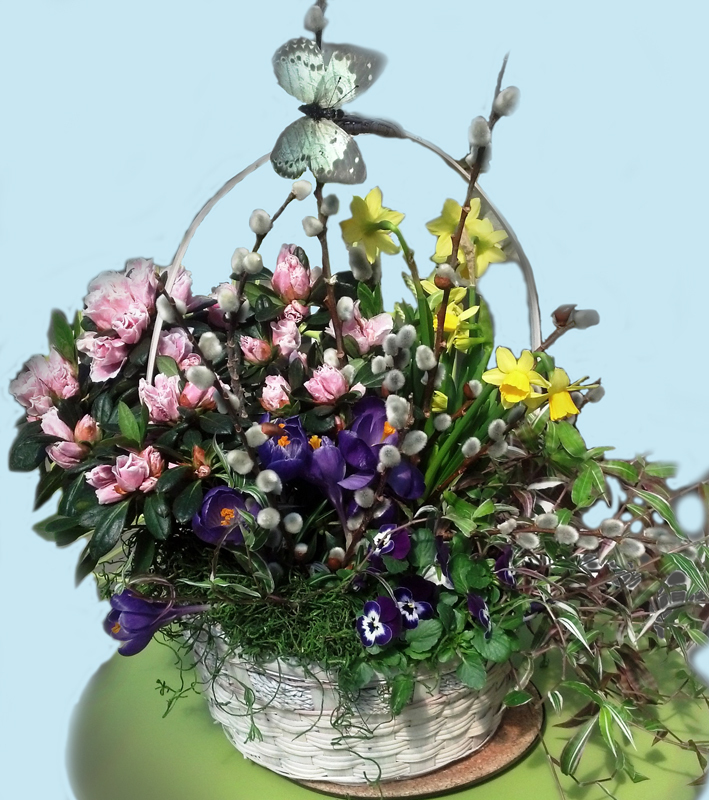 Plant a pretty white spring basket for the table or as a gift at the Easter Basket Workshop. Mary Gurtler, designer at Lockwood’s, will instruct the class. Students can choose to make one large or two small baskets. The cost is $35. Sally Cunningham, CNLP, will present what you need to know to renovate, plan and care for a landscape. 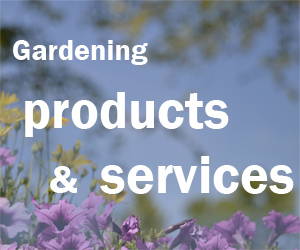 The talk includes basics on plant selection, layout, site preparation, watering, fertilizer, mulch and pruning. 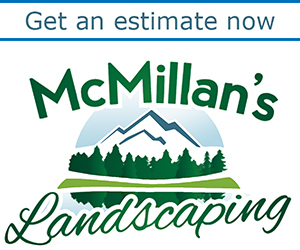 Bring pictures of your own yard along with your questions. The cost is $10. Mary Gurtler, designer at Lockwood’s, will show you how to make your own large container design for doorstep or patio, using annuals and perennials that tolerate the light frosts of late spring. The cost is $40. Mary Gurtler and Marge Vogel will provide the containers and a choice of plants to suit your porch or patio; together you’ll make something beautiful. The cost is $35 per class. David Clark, horticulturist and floral designer, will review planting, pruning and tending roses, all with his unique charm and humor. All questions are welcome. The cost is $10. Make a lightweight concrete leaf-shaped wall hanging or dish with with Artful Castings designer Julie Steinert. Price to be determined. Watch the Lockwood’s website for more information on this new class.